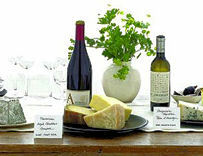 At The Cheese and Wine Shop we will be celebrating, tasting, mixing and enjoying all thats best in the west and beyond. We do, of course, do this week in week out, (somebody has too!) 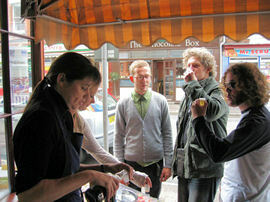 and tastings, discussion and advice are what The Cheese and Wine Shop is all about. The Cheese and Wine Shop, where food matters. Tastings; The Cheese and Wine Shop will be open and busy tasting many of our most popular products, including, of course, Cheeses, and Wines, along with local Beers, Ciders, Somerset Cider Brandy, Chunk Pies, and Salcombe Ice Creams. We will also be tasting our great breads and pastries through the day, along with our fresh squeezed Orange Juice, Yoggies and Smoothies. Like snacks? We will also be tasting our new Tomato and Olive Ciabattas from Jones Bakery, and their wonderful Sourdough breads. We will also be tasting our Pipers Crisps. A sweeter tooth? then stop by to see our great selection of Chocolates! ..... in short, we will have something for all tastes! Festival fun starts early at The Cheese and Wine Shop! Friday September 02nd … for Cheddars and our most popular Chutneys, along with Salcombes award winning Ice Creams & Sorbets. We will also be tasting Fresh Orange Juice, Somerset Ciders & our local Beers. Look out for our Festival Special promotions, which will be running on Friday and Saturday. Pop along on either day to enjoy these delicious samples! Please note above timetable is subject to change; if you`re travelling to our tasting events, please check with us on 01823 662899 or by email to ensure we are tasting what you are coming for. The Cheese and Wine Shop, together with our superb suppliers, are proud to support the Food town Festival. Here at The Cheese and Wine Shop, we have got a superb tasting schedule lined up, and look forward to welcoming you. Do join us! Shop in South Street , home to specialist independant stores ... click here to learn about South Street Specialists! 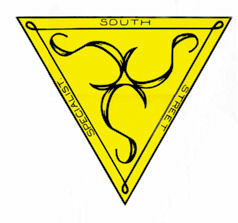 South Street specialists; remember to shop in South Street! Look out for the yellow balloons and pennants for member stores, all of which have promotional activity and discounts on offer!